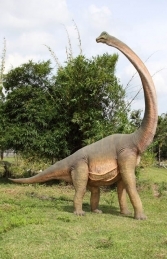 Dromaeosaurus was a small carnivore and it lived during the Upper Cretaceous, around 65.5 million years ago. This fantastic model Dromaeosaurus is stunning for any Dinosaur themed area. Its mouth is showing off its sharp teeth, and it’s large "sickle claw" on each foot. 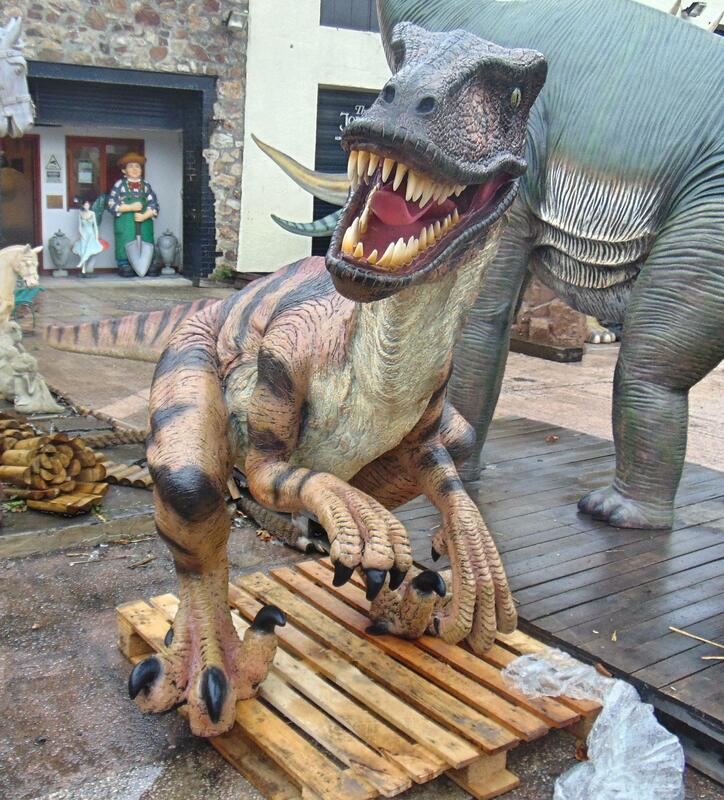 This amazing Dromaeosaurus will make a huge impact and attract public attention in any themed Dinosaur area. 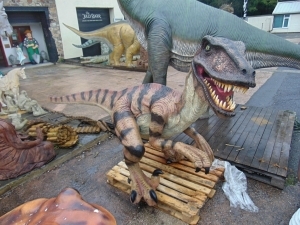 It would be ideal to make the centre piece of a prehistoric or Jurassic display with our range of large dinosaur models. 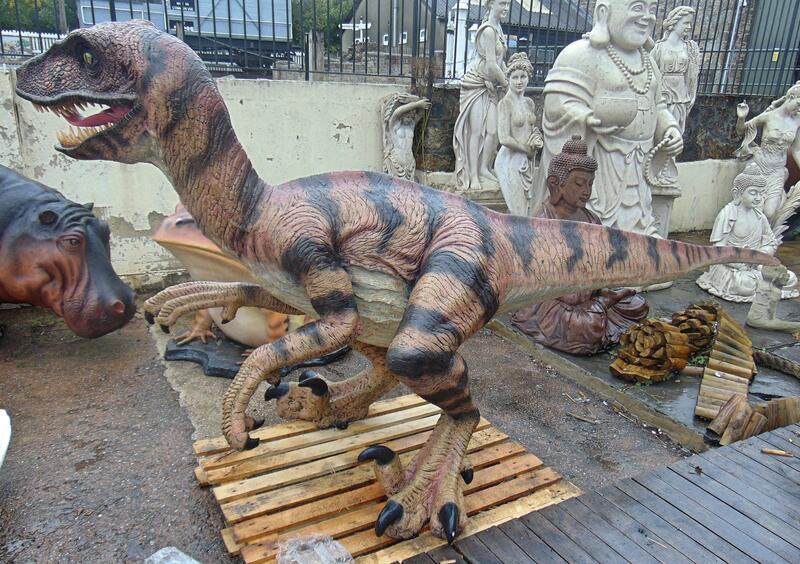 This amazing Dromaeosaurus will make a huge impact and attract public attention in any display. All our models are high quality, durable, cold cast poly-resin & fibre-glass, not cheaper plastic or single-skin resin copies. The detail & modelling of these sculptures is superb. Well cared for, models supplied by the JollyRoger will give you & your customers pleasure for many years to come. We recommend that all models & point-of sale items which are going to be used outdoors be given a protective coat of clear lacquer or exterior varnish.